The only holder for Nomad and Maxray handheld x-ray units! The ClikStik™ system is a fully autoclaveable, twin head holding system for use with ANY x-ray film or digital sensor bite blocks. One system can take anterior, posterior and bitewing views with a simple straight rod and one single ring. The variable rod allows the ring to be placed as close to the cheek as possible without interference for increased accuracy. The ShaRing™ Bonus Pack is a holding system for all digital sensors. It eliminates the need for multiple rings, rods and pins of older obsolete systems. Now you can have a system without metal pins or rods in your mouth. Save time and money with the complete starter kit. 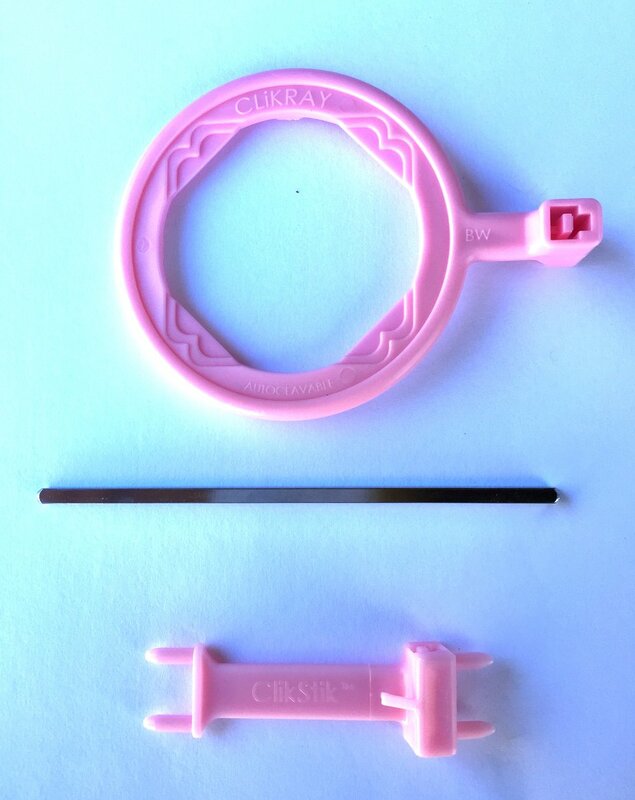 The ClikRay™ “H″ holder allows unlimited versatility for the dental office staff, saving both time and money. One product can be used for both digital and film. The practitioner can now create their own instrument to best serve their needs with the “H” holders.